NEW! Buy this item and earn 6 Fidelity Point(s) for a discount on a future purchase. (1 Fidelity Point = 1 Euro). 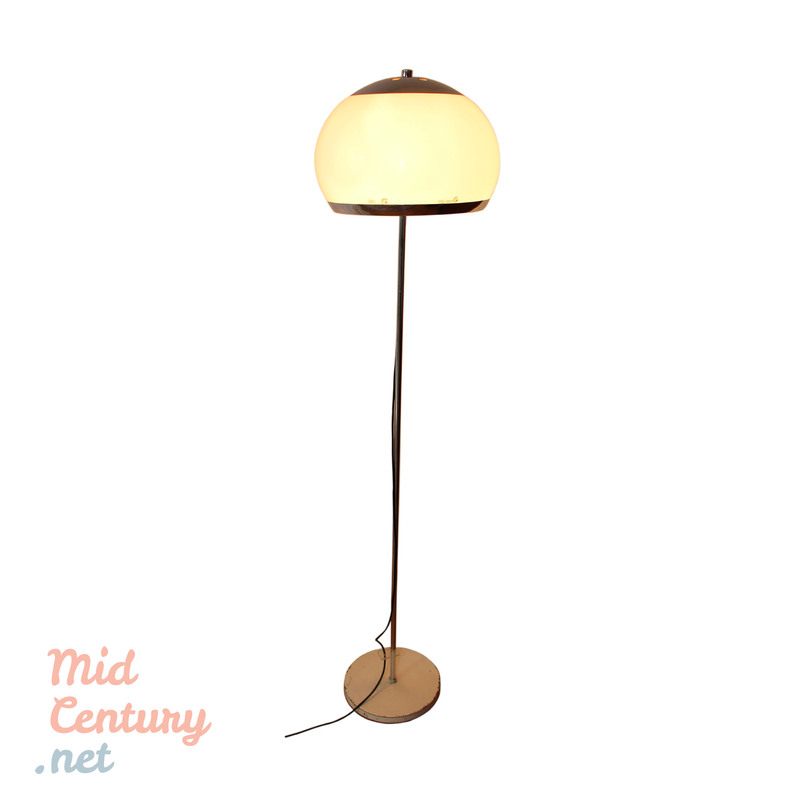 Beautiful Eve floor lamp made in France in the 1970s. The tube is made of chromed metal and the lamp shade is made of acryl. 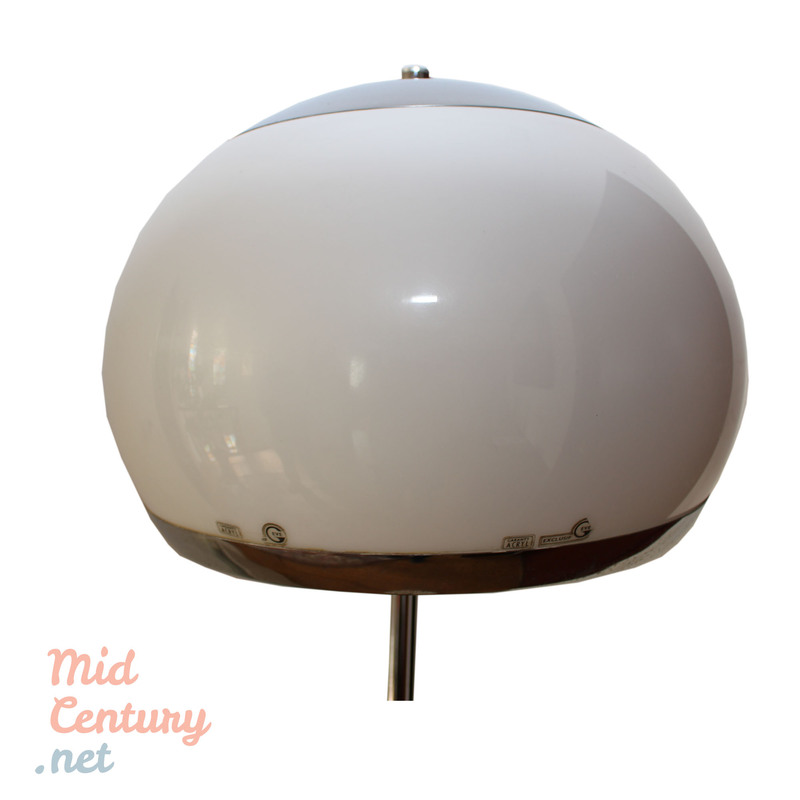 Featuring the aesthetics of Atomic Age design, this item is in an overall good condition, showing only some age related scratches on the base and a little bend on the shade (see photos). The lamp has its original labels. 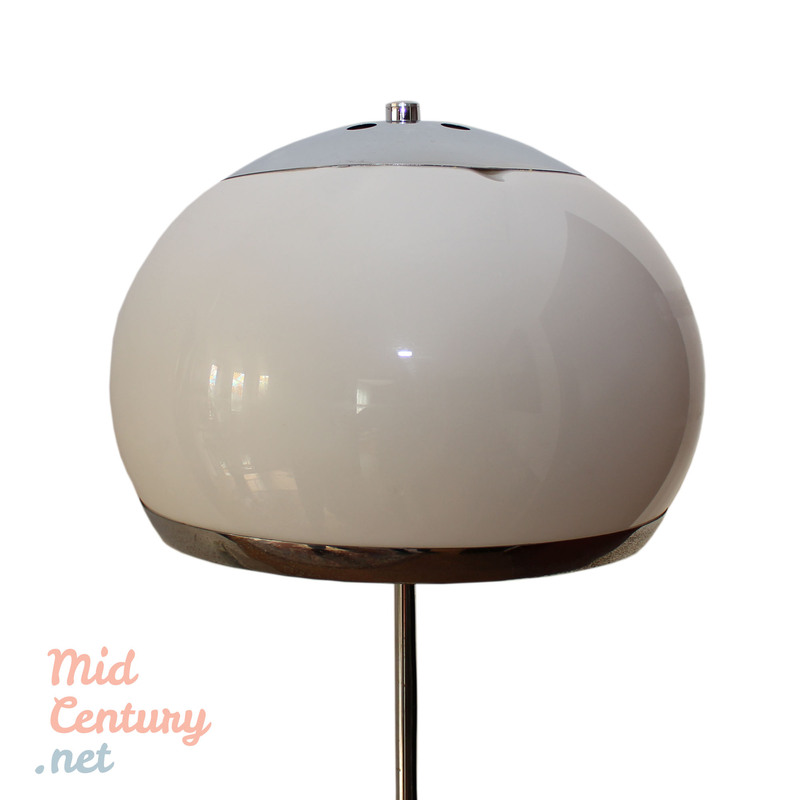 Beautiful Space Age table lamp made in Germany, in the mid 20th century. 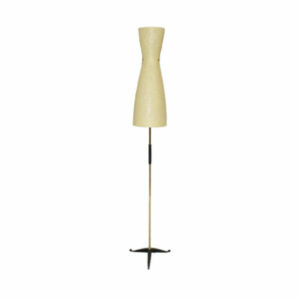 The base of the lamp, resembling the fins of a rocket are made of beige plastic. 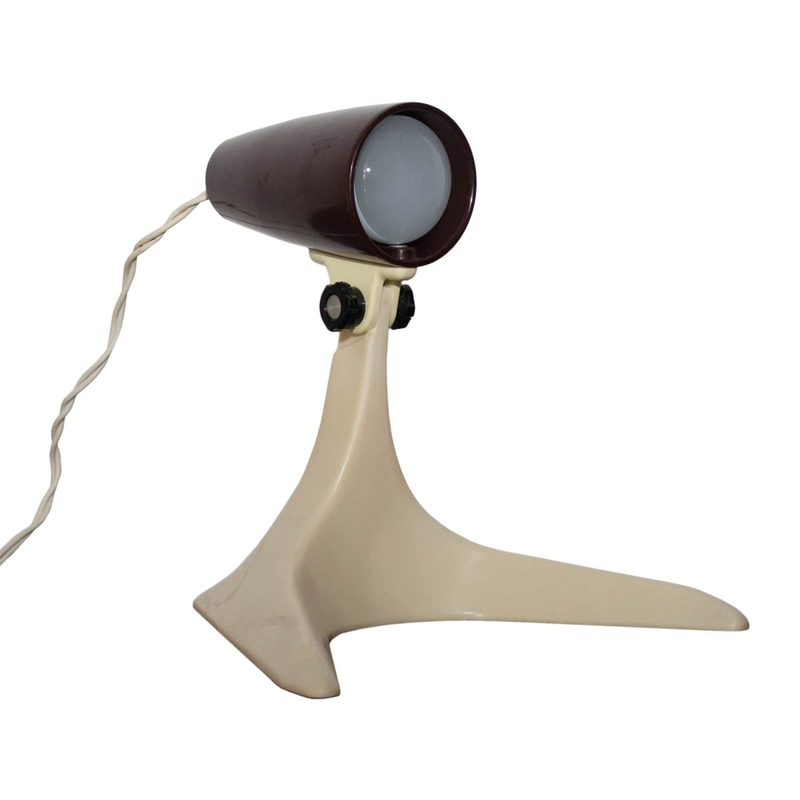 The lightshade, made of dark brown bakelite also features an aerodynamic shape. 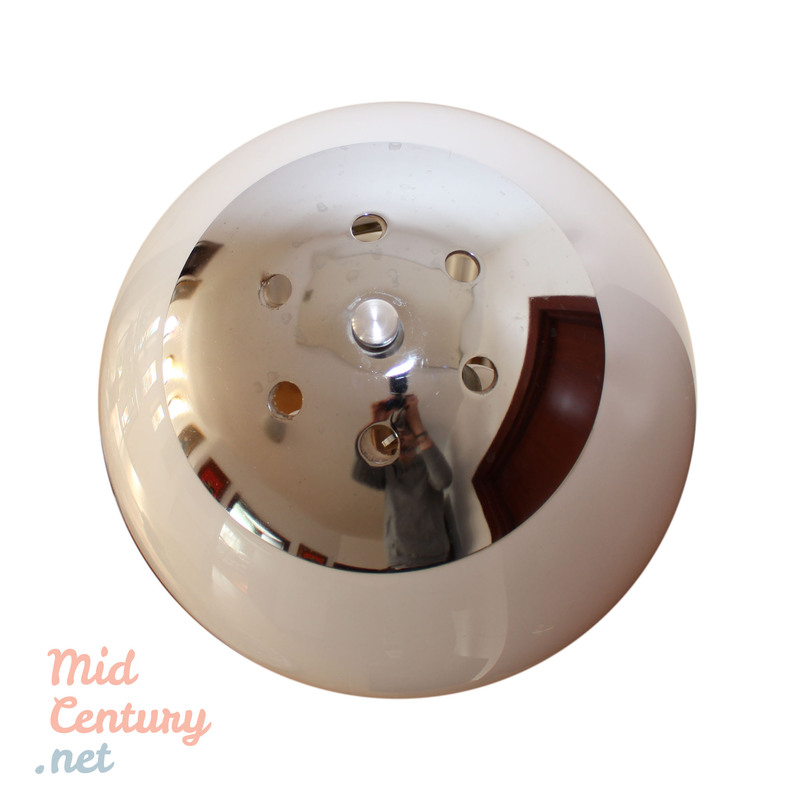 Made in the 1960s, this is a representative piece fort the aesthetics of the Space Race era. The Space Age is a time period encompassing the activities related to the Space Race, space exploration, space technology, and the cultural developments influenced by these events. The Space Age is generally considered to have begun with Sputnik (1957). During the 1950s, architecture, furniture, interior design, cars, and gadget design took on a curiously spaceflight-inspired aesthetic. 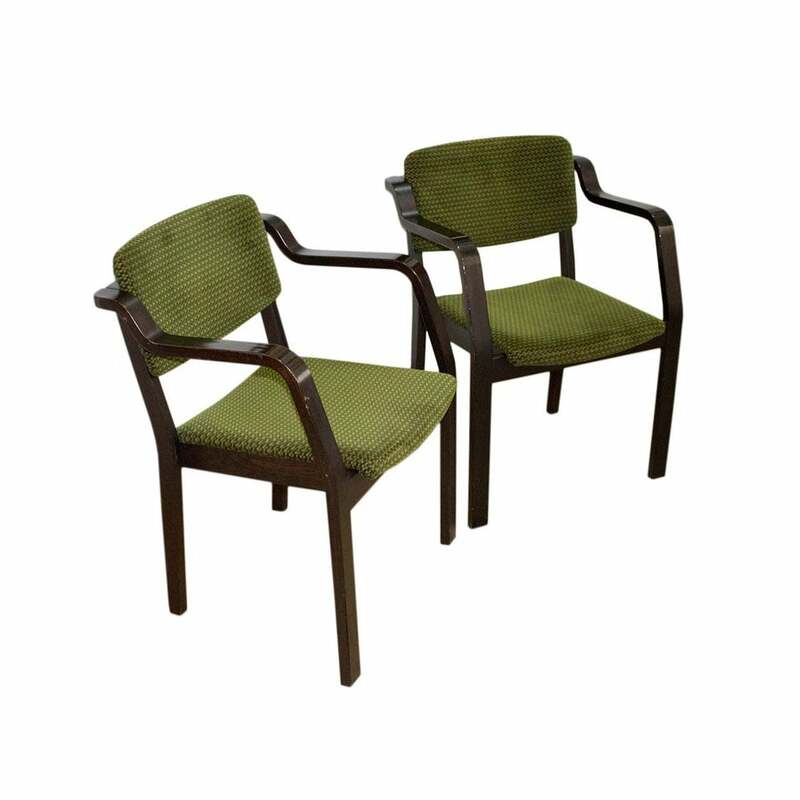 Pair of Swedish Gemla Mobler chairs. The structure and the armrests - made of curved wood - give a natural, organic and pleasant shape. This is completed in a beautiful way by the wool upholstery, in a shade of green that is specific for the Mid-Century furniture. This chairs can fit any nice interior, having the ability to create a warm atmosphere in the room. The chairs are in very good shape with only few age-related traces. At Helge River in Diö, in the heart of the old forests of Småland, lies Sweden's oldest furniture factory (founded in 1861). Its inner sanctum, beech and ash are tamed into time- less furniture by skilled craftsmen who know which way the wood likes to bend. Stretching and flexing, easing and teasing, until the steaming hot wood finds its form. And the wood will not be rushed. The transformation from log into chair takes days, sometimes even weeks. The technique has been used by boat and fence builders since ancient times but was refined in the mid 1800's by Thonet into the iconic chair, worn my millions of seats in the cafés of Europe. The shape is determined by the best and the brightest of their time. Back then their names were Peter Celsing, Yngve Ekström, Sigurd Lewerentz and Carl Malmsten. Now they are Jonas Bohlin, Front, Lisa Hilland and Mats Theselius. Good/Fair. 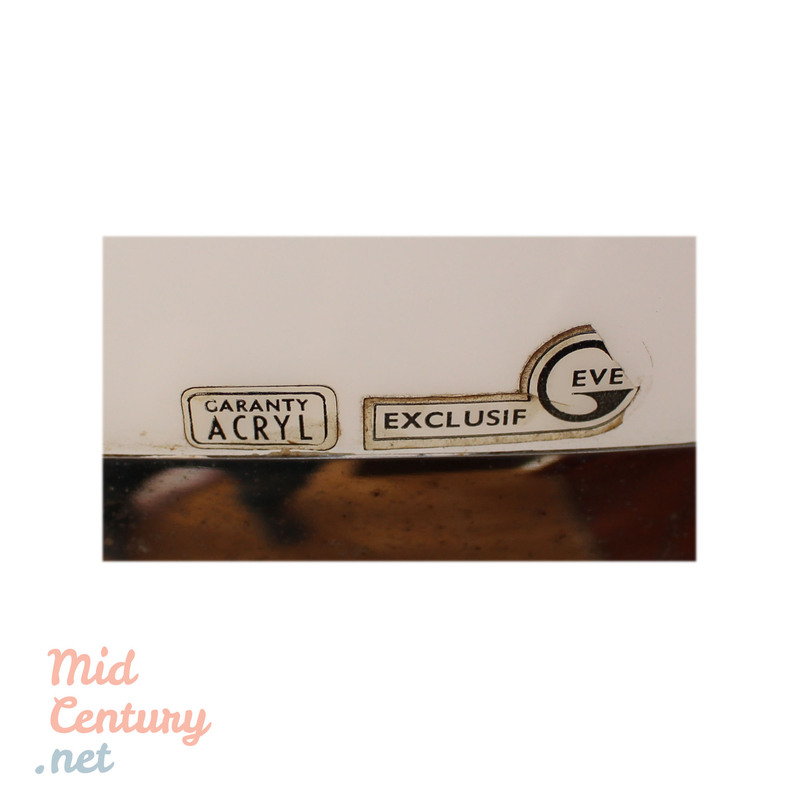 This vintage item remains in an overall good shape, but it shows sign of age through small chips, scratches, discoloration or other minor defects. 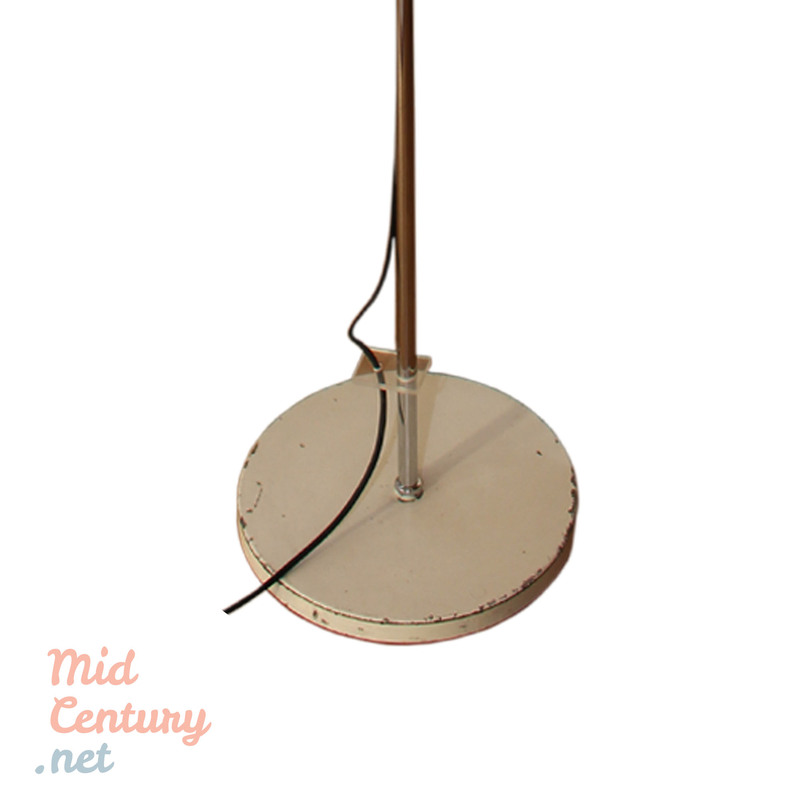 Elegant Mid-Century brass floor lamp with fiberglass shade. The lamp is made in the 1950s in Germany. 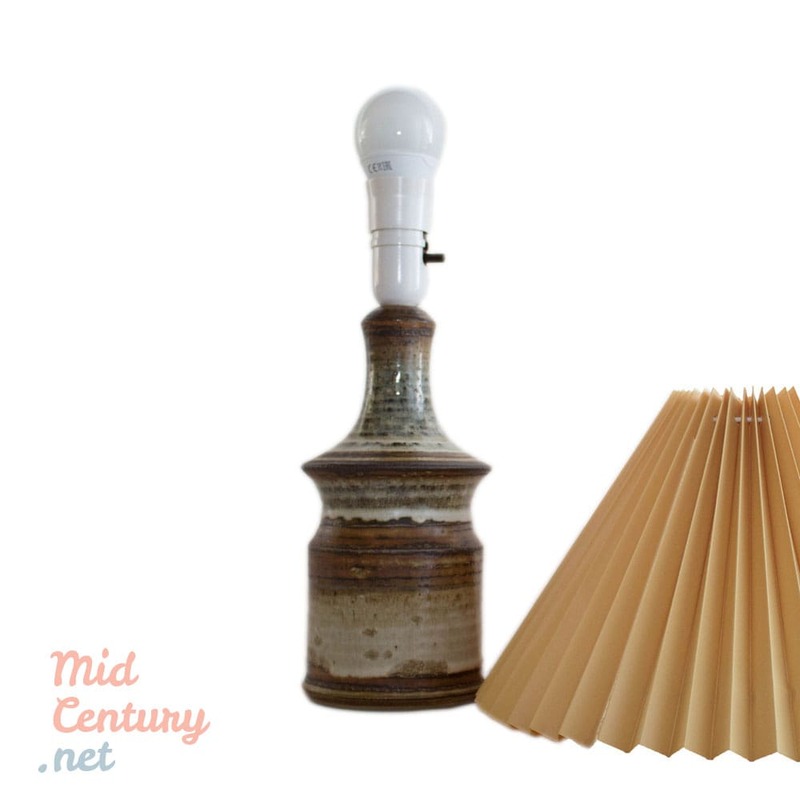 It has its original switches and they work separately: one powers the lightbulb at the top of the lampshade and the other powers the two lightbulbs at the base of the lampshade. The item is in overall good shape with some scratches on the tripod and minor signs of ware on the shade (see photos). 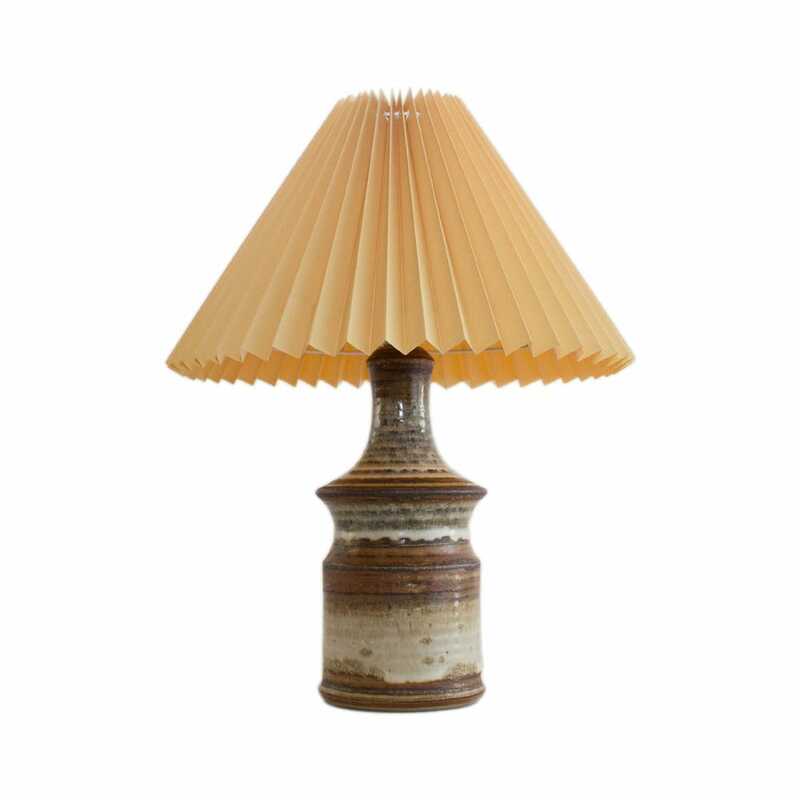 Very rare stoneware table lamp designed and handmade by Josef Simon for Søholm Stentøj, Denmark, in the 1960s. The body, made of glazed ceramic, is remarkable due to its exquisite circular decoration in colors that speaks about earth, sand and sky. 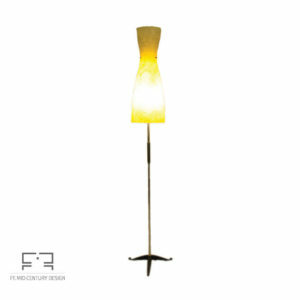 The lamp is signed on the bottom, "Simon", has the Søholm Stentøj mark, the production number and also a "handmade" stamp, not to mention that Søholm Stentøj is not a lights factory but a ceramic art studio that values ​​the design and quality. The lamp is in very good condition. 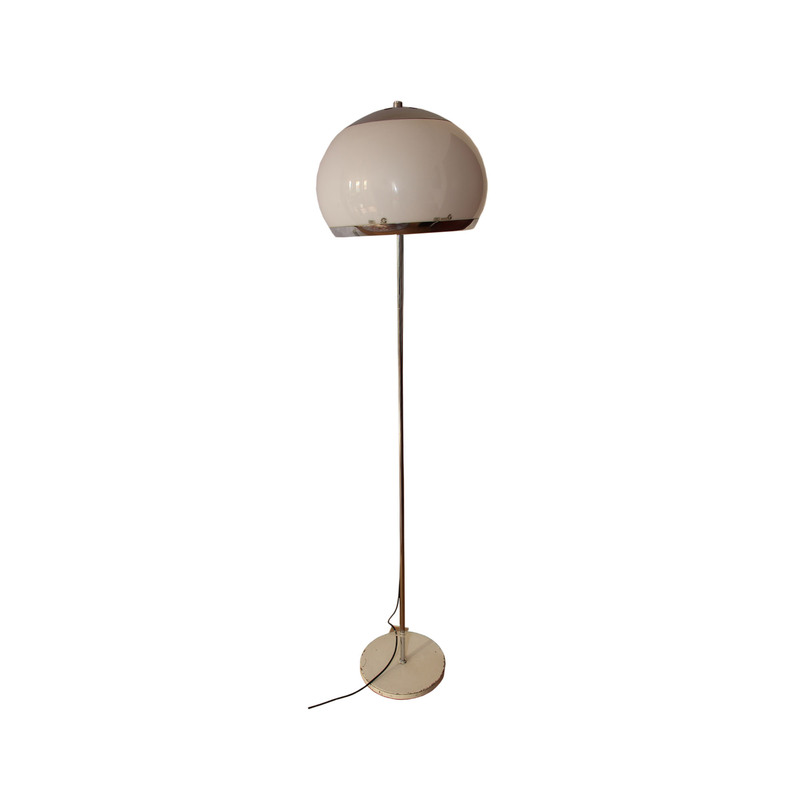 An extremely rare and refined piece of Danish Modern design. Denmark has a rich tradition of producing Fine ceramics and original pottery dating back several hundred years and one of the greatest was Søholm. Søholm was founded in 1835 and is the oldest ceramic factory in Bornholm, a Danish island famous for its pottery and fine ceramics artisans. The pottery from the 1950s-1960s is often characterized by the sleek lines, streamlined design and innovative use of materials - just as the famous Danish Mid-Century Furniture. The factory closed in 1996. 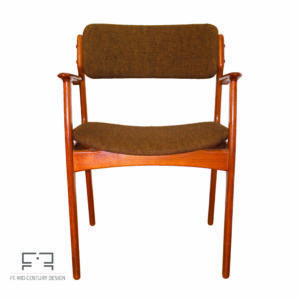 Stylish Model 49 Danish armchair designed by Eric Buck and produced by Oddense Maskinsnedkeri / O.D. Møbler in Denmark, in the 1960s. Erik Buck design creations are distinctly Scandinavian, combining smooth wooden foundations with fabric, leather and ratan in organic and functional designs. 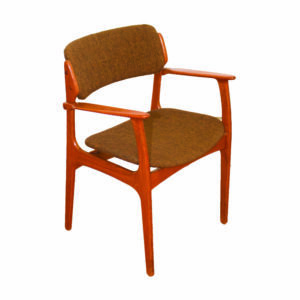 This armchair combines solid teak with green textile upholstery. 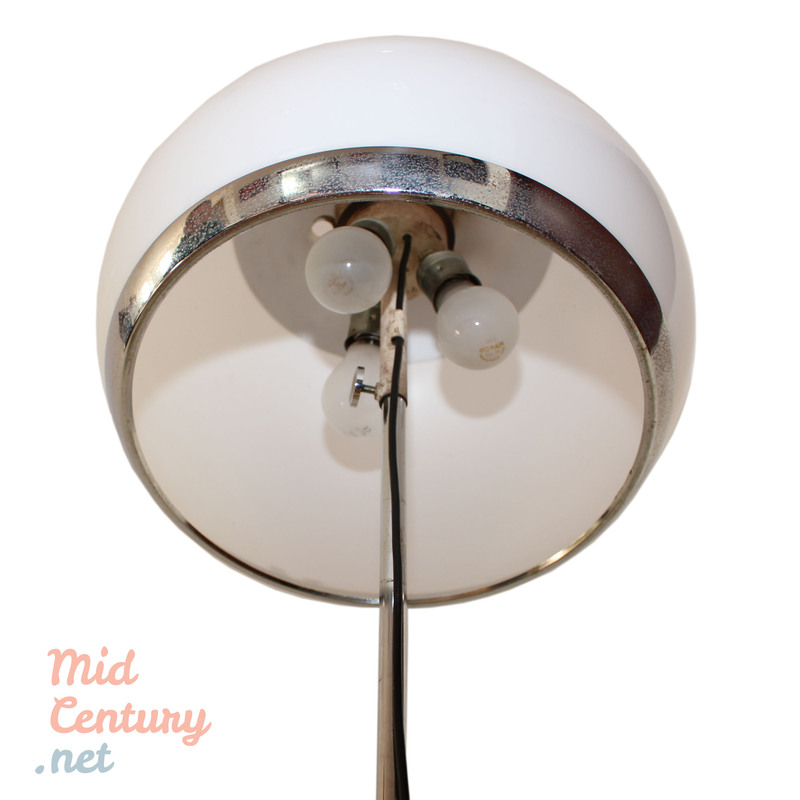 The comfortable, high quality Mid-Century item will look amazing with almost any modern design table or desk. The armchair is in very good vintage condition, with only minor signs of ware, all consistent with their age (see photos). 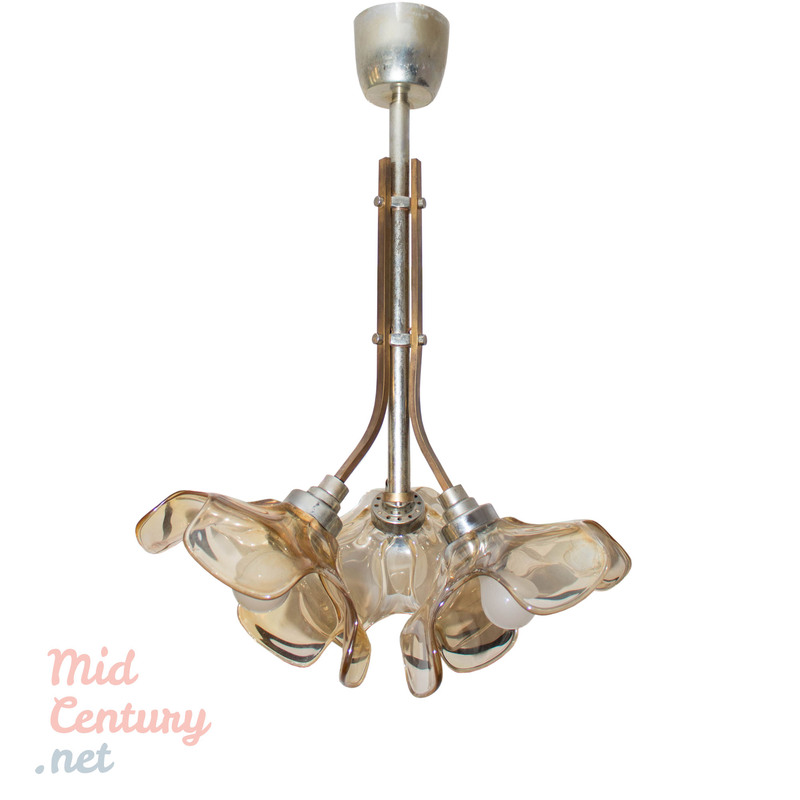 Elegant and impressive 3 lights chandelier made in France, in the late 1930s or early 1940s. 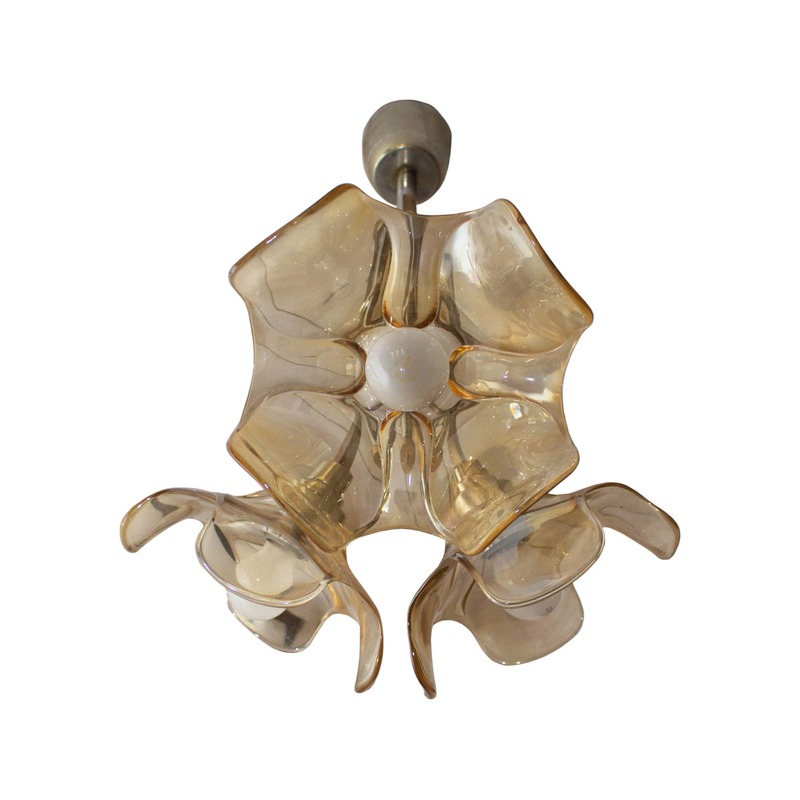 The chandelier, resembling a bouquet of flowers, has three shades made of translucent brown glass, with pearl shimmering. The arms are made of brass and the central tubing is made of silver metal. The chandelier features the Art Deco aesthetics, but at the same time recalls the Art Nouveau lines (especially on the lightshades), which were so popular in France. On the inside of the canopy is marked "Albani". The piece is kept in good condition and is in full working order. Hurray! Our FIDELITY REWARD Program is here and is designed to please you! FF. 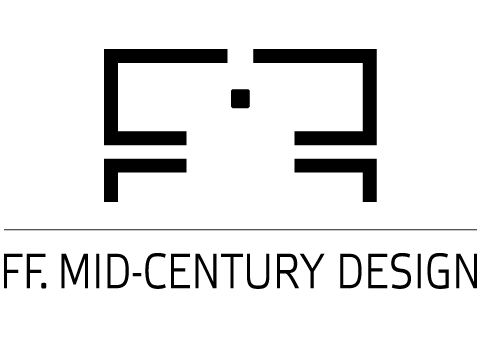 Mid-Century Design is the place where you will always find art and design pieces made during the 20th century by some of the most important designers and manufacturers of the era. Plus, we make sure that all these pieces are offered to you at correct prices. That’s why homes and offices in Australia, Austria, Denmark, Estonia, France, Germany, Greece, Italy, Netherlands, Romania, South Korea, Spain, Switzerland, United Kingdom, and United States accommodates furniture, lighting and home accessories sold by us. Why and how to create my account ? © 2016-2019 FF. 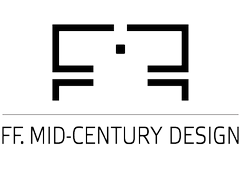 Mid-Century Design / Design Yourself Concept S.R.L.